When I wore this dress the other day, Bryan said that I looked like I could be having lunch in the South of France. I said, “Well, how about a sandwich in the west of our house?” He laughed and agreed to a nice quiet lunch that included the delicacy of Goldfish crackers and wheat bread. My chicness can’t help but spill over into my cooking. All joking aside, I will agree that this dress is so classic it could feel chic anywhere. It’s surprisingly an Amazon find! 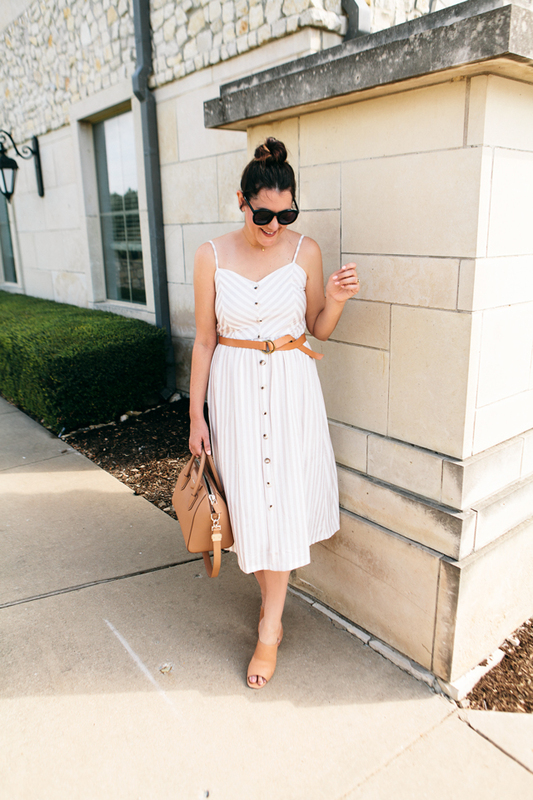 I wouldn’t say I was surprised at the price when I received this one like I was the maxi dresses this summer, but I love how classic this dress fits and feels and for $22 it’s definitely worth it. Stay true to size! I sized up and shouldn’t have! 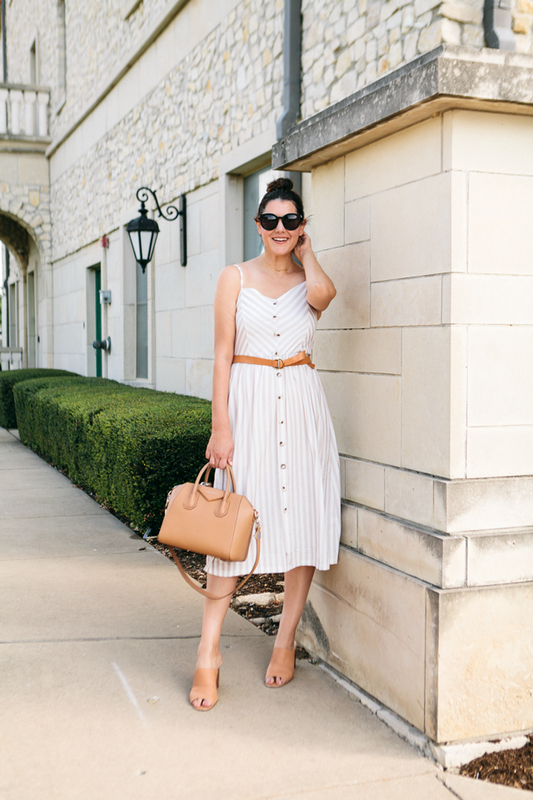 You can find this striped dress here! 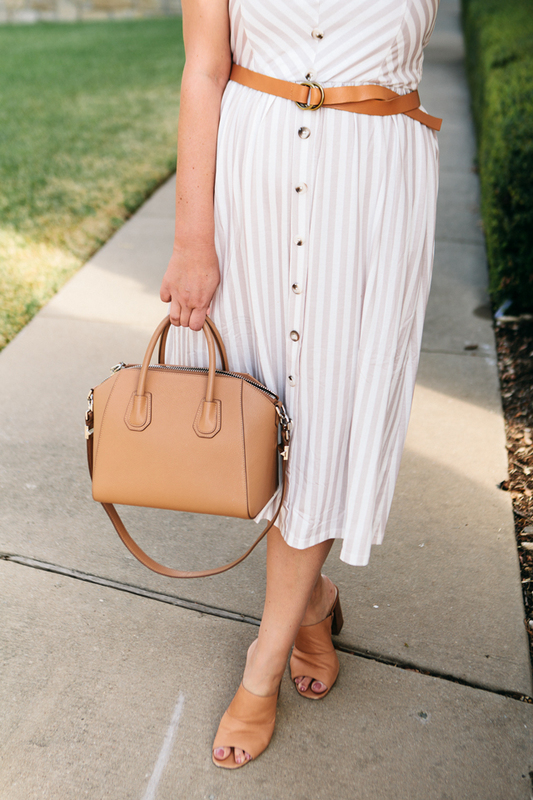 I am on the preliminary hunt for some heels that are a) in stock and b) will work as fall transition heels from our hot summer into and possibly through November. Here in Texas fall is a four letter word, so I like to find pieces that are fall inspired but I don’t necessarily need warmth. These Sole Society mules are and have continued to be my favorites this year but sadly they are almost sold out and I know it’s frustrating when I wear a style that you can’t get your hands on! However, I have found two really cute mule options since these mules I’m wearing are basically sold out! This one here is a more woven look to the leather and the other is a lighter leather look. If you’ve seen any great mules you just love, send them my way! I’ll keep my eyes peeled for some for fall! I ordered up but don’t recommend! Stay true to size! I am in the large and find it fits a little big. A medium would have been perfect! Perfect look. That bag has been on my wishlist. That dress is adorable! I need it in my life! I seriously have been finding SUCH great finds on Amazon lately! This dress is SO dang cute. I’m in love. 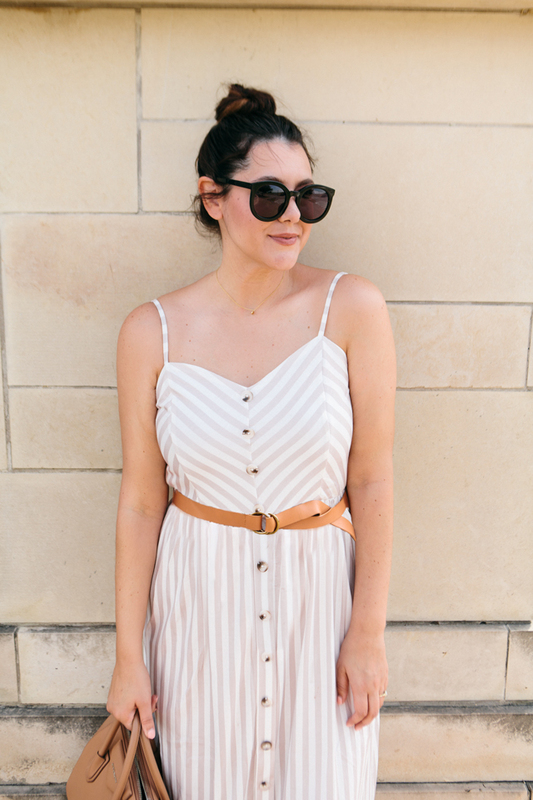 the kind of perfect summer striped dress! I cannot believe the price tag! This is a great Amazon find! 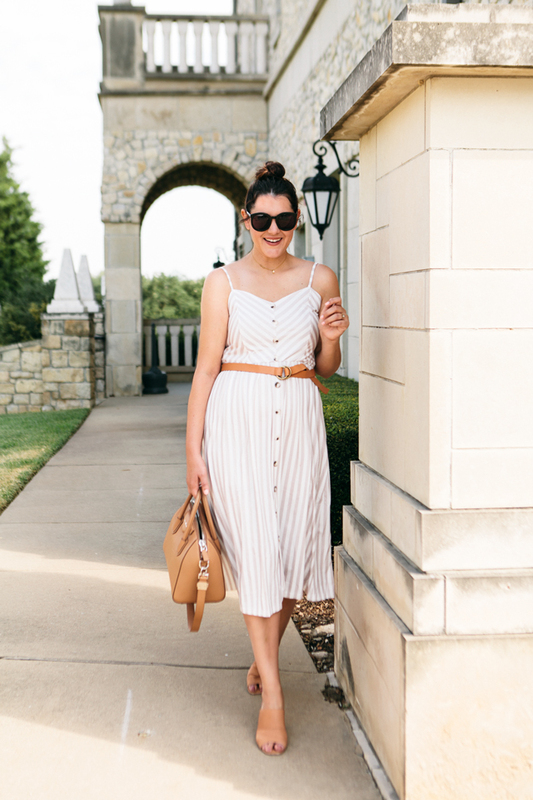 Such a cute dress for the summer and a good transition piece into the fall! I am seriously amazed with your amazon buys this summer!! And this dress is definitely so classic. I love it! I LOVE your Amazon buys! This should be a permanent series!